National Military Appreciation Month started as a simple idea; to gather America around its military family to honor, remember, recognize and appreciate those who serve and have served all while knowing its history. Legislated twice, this idea continues to evolve experiencing increased national attention & recognition! The first legislation (S.Res 33) began in 1999 by the United States Senate designating May as National Military Appreciation Month. With the support and sponsorship of Senator John McCain, (R-AZ) and Representative Duncan Hunter, (R-CA) of San Diego along with over 50 veteran service organizations, this important legislation states to our service members that we they protect, set aside an entire month to honor, remember and appreciate their patriotism and dedication from their families. In April of 2004, more comprehensive legislation was passed by unanimous consent of both Houses of Congress as H. Con. Res. 328 solidified May as National Military Appreciation Month. It also reminds the President of the United States to issue annual proclamations calling Americans to recognize this special month through appropriate ceremonies and events. Fast forward to 2015 and it’s 16th year as a handful of volunteers continue to preserve May as National Military Appreciation Month. Instrumental to achieving key results from its inception is Duncan Munro, MSgt USAF (Ret) of Hampton Roads, VA serving as Marketing and National Events Director and Mike Fleming of Los Angeles, CA as Public Relations Officer. Yet, the main kudos remain with Alice Wax, NMAM Executive Director and Founder who worked for passage of related legislation and Rita Whaley Thompson, Executive Director of Time for America, who meticulously walked the halls of Congress helping to pass the initial legislation. 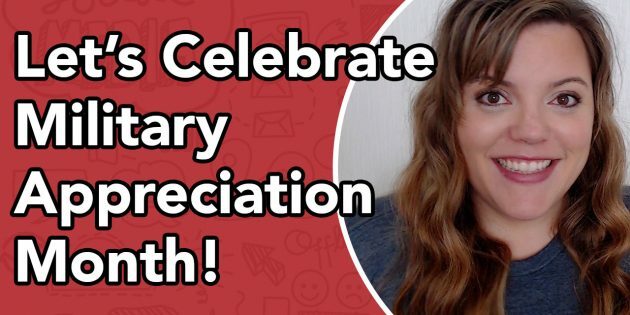 Additional kudos goes to Shauna Fleming of A Million Thanks who served for four years as National Spokesperson and continues to appear on radio and television shows. She visited to the Oval Office while working on her own goal of collecting 2.6 million letters of appreciation for our troops through A Million Thanks. Our military continues to play a major role in the development of our country chronicled through history of unbending honor, dedication to duty and genuine love of country. Alarming is younger generations who distance themselves by lacking awareness of, nor value the service given by our family Americans; many of whom are of the “Greatest Generation” that we see now. Schools rarely teach crucial military events that turned the course of history evident as they continue to lose connection with our own American history. Names like Pearl Harbor, San Juan Hill, Civil War, Continental Army, 38th Parallel, Berlin Airlift, Tet Offensive and Normandy continue to lose their significance within the general American population; particularly our future generations – our youth. Because of this, we now combine American Military History Month into the month of May encouraging educators to develop lesson plans that will highlight the history of each military branch.